Get Whipped by House Music: A fancy poster of the house music club Volksgarten in Vienna. Hi, this poster is not from Torture Garden as the fancy title may suggest ;) but from a mainstream house club in Vienna, called Volksgarten (People's Garden). 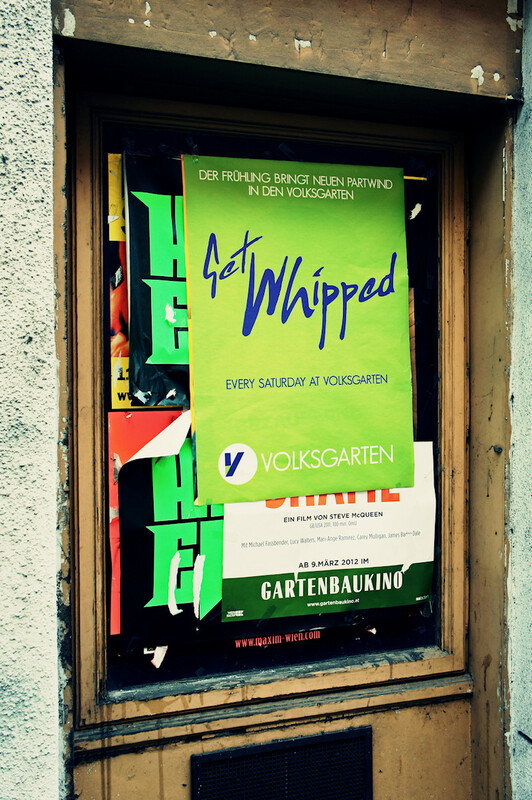 Get Whipped (by house music) every Saturday, starting 11 p.m.
Do you know some other fancy party names from around your corner?